For as long as we could remember, we at Gawker have loved Gunnar eyewear. And Lifehacker readers love them too. They're great looking specs for the eyestrain avoidance type and, for a limited time, 20% off in a special to Lifehacker readers. 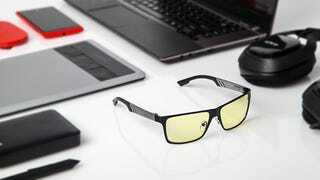 Lifehacker readers get 20% off using the code "Lifehacker20" at Gunnar Optiks. If you're not at all happy with your purchase, Gunnar also offers a 30 day money back guarantee.